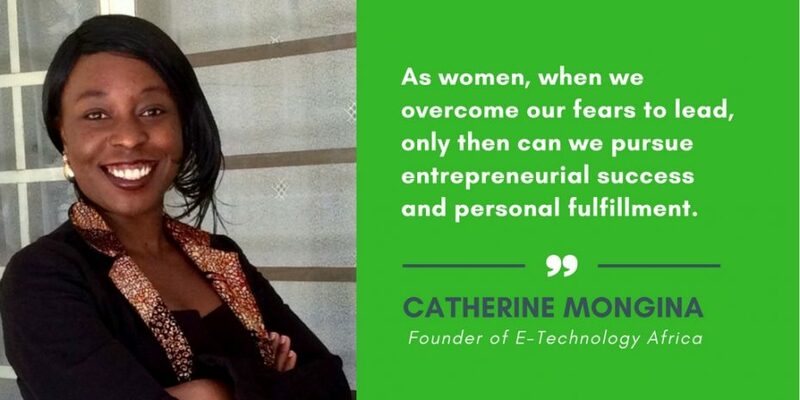 Catherine Mongina is the founder of “E-Tech Africa” a website that aims to inform and empower young entrepreneurs in Africa to embrace e-commerce as a way to either start or grow their business. 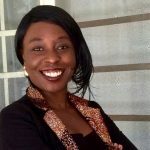 Catherine believes e-commerce is a core competence in contributing to the competitiveness of the digital economy in Africa. The website offers valuable tips and tricks for thousands of young entrepreneurs in East Africa to increase their online presence. I asked myself this same question back in December 2014. I was almost a year into my first job right after graduation when I noticed significant inequalities at my workplace. Almost all of my male counterparts were earning a better pay than I was despite the fact that I was equally competent. After doing some research through my former female classmates I found out that they had a similar experience. Throughout my schooling, I don’t remember thinking about my career any differently from my male counterparts. I was raised to believe that girls could do anything boys could do and that all career paths were open to me. In retrospect, I was naive and idealistic. Society has a way of reminding women that they should not be set on climbing the career ladder, or worse, becoming an entrepreneur. Especially common in Africa is the societal pressure for women to keep an eye on marriage from a young age. This archaic thinking coupled with my experiences at my workplace led me to challenge my own definition of what success meant to me. Leading me to ask myself, What would I do if I wasn’t afraid? My answer at the time was to start a technology blog which has now grown into a digital marketing startup. Fear is at the root of so many of the barriers that women face in our society. It’s fear that is holding you back from starting that business or taking that course or going to your local bank to ask for a loan for your startup. Some of our fears are genuine. In Africa, the stereotype of a working woman is hardly attractive. This fear is further escalated by the fact that most leadership positions in both the public and private sectors are held by men. As a result, women don’t expect to attain them. One of the ways we can start encouraging more female entrepreneurs is by helping them recognize their fears. The best way to achieve this is to encourage open and honest conversations in our homes, churches, local communities, counties and even at a national level. Our objective as leaders and as female entrepreneurs should be to create a culture where all women are encouraged to take risks. As women, when we overcome our fears to lead, only then can we pursue entrepreneurial success and personal fulfillment. Female entrepreneurs need to get a thick skin. As a leader, you will get enthusiastic fans as well as harsh critics and you need to know how to deal with both. It’s particularly difficult for women to withstand criticism because of how we are socialized when growing up. Our stereotype of women holds that we are the caregivers, sensitive and communal. We are therefore expected to prioritize harmony and not conflict. As a result, women end up doing things that involve less criticism. Female entrepreneurs need to learn how to withstand criticism and not let it affect them or worse weaken their confidence. Use that feedback wisely and let it fuel your drive to pursue your goals. Give yourself permission to decide that a piece of feedback, negative or positive, is true but not worth taking right now. Ultimately you should incorporate criticism wisely and with discernment. Especially common in Africa is the fear of being labeled as “too aggressive” or worse “acting like a man” when a woman is perceived to be highly competent or successful. And if she acts like a man, people dislike her. In response, we often feel like we should make everyone else like us before we move forward with our goals such as starting a business. We also downplay our achievements especially in the presence of others to protect ourselves from being disliked. Women in Africa are socialized to think that it’s okay to put ourselves down before others can. I have seen this dynamic play out over and over and it needs to stop. The only way to move forward as a society is to encourage a culture where the image of successful entrepreneurship is not male. It starts by owning our own successes as female entrepreneurs as this will be the key to more success. And, success always feels better when it is shared with others. True leadership stems from individuality and honesty that is sometimes imperfectly expressed. Emotions drive women and influence every decision we make. Being able to recognize the role emotions play and being willing to discuss them make us better entrepreneurs. Expressing my truth, talking about my personal situations and acknowledging that my professional decisions are emotionally driven is a lesson I have learned over the years. Pretending that our personal lives as women does not affect our professional lives is frankly naive.It’s okay to talk about your home situations at work without fearing that your priorities will be questioned. Moving forward as female entrepreneurs, we need to blur the line between personal and professional. As women, we often hold ourselves back. We are our own worst critics. This brings me back to the question: What would you do if you weren’t afraid? Don’t be afraid to ask yourself this question even if it seems like a long shot. Staying quiet and fitting in is a strategy that is not paying off for women as a group. That is why we should start activating these conversations in our communities and not hold back our opinions. The discussions may be difficult, but the positive effects are far too many and important for our generation. We cannot change what we are unaware of, and once we are aware we cannot help but change. I truly believe that is the only way we can encourage more female entrepreneurs in Africa.